Sophie's no ordinary house spider. She's an artist; and every web she spins is more wondrous than the one before. But don't mention that to the guests at Beekman's Boardinghouse, because they don't like spiders. No one there wants anything to do with Sophie or her magnificent creations -- no one except the woman on the third floor. She's a new mother "weaving" something herself; and when she runs out of yarn, Sophie knows the time has finally come to create the masterpiece of a lifetime. 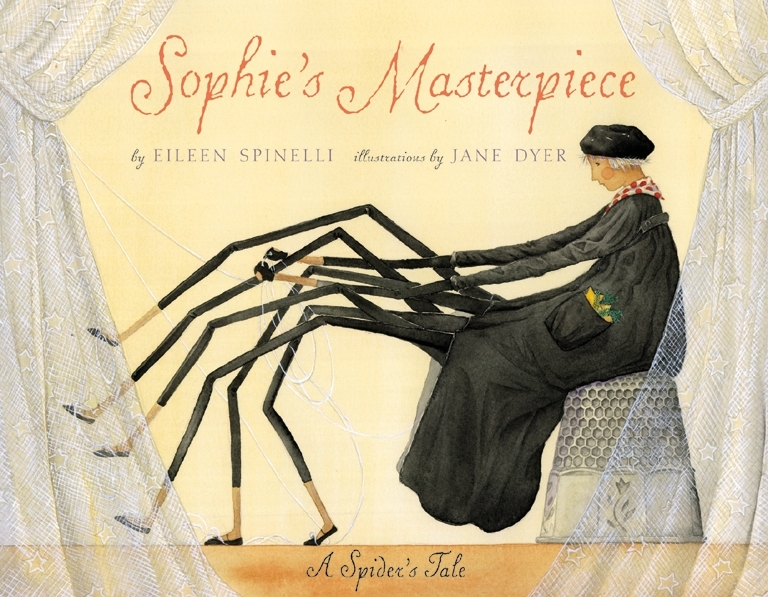 Eileen Spinelli and Jane Dyer, the award-winning duo who created the best-selling When Mama Comes Home Tonight, team up once again to tell the charming and bittersweet tale of an exceptionally gifted spider and the lengths she's willing to go to share her gifts with those around her.